Following the release of their album Home a couple of years ago, the renowned band of vocalists ARIA are re-releasing their stunning Christmas single this season, injecting a new sense of warmth and togetherness into a classic and comforting sound we all know and love. 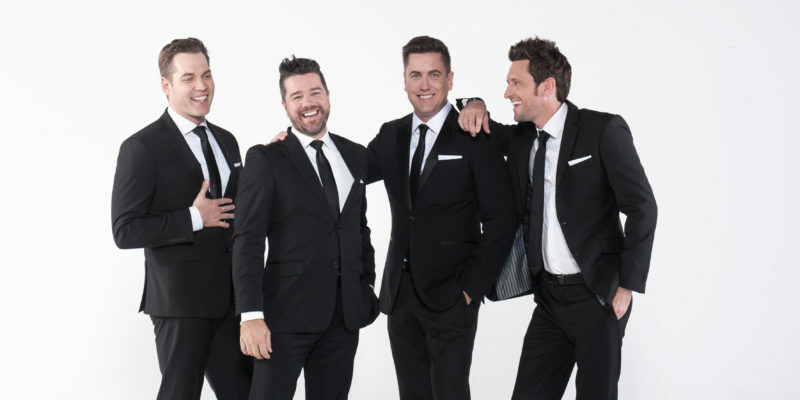 ARIA describe themselves as a classical crossover band. Their name stands for Aussies Reunited In America, but really it’s the sound of their music that gives them such a strong and memorable sense of identity. The balance and variation between voices is superb, the transitions are smooth and seemingly effortless, natural, and the instrumentation builds powerfully alongside of the performances. Where a solo singer might make waves if the skill and professionalism are in strong supply, think of this as four times the magic – a real blessing to witness. ARIA’s presentation of Happy Christmas (War Is Over) is truly sensational. Where in the beginning it sounds simply lovely, the song progresses throughout its five minute journey to become something immense and incredibly uplifting. In addition to flawless performances from all involved, there’s also a notable level of emotion and passion in each and every part, so the whole thing feels very genuine and connects all the more intensely for this reason. There don’t seem to be many, if any, classic songs that ARIA couldn’t take on and make their own in a wonderful way. They respectfully hold close to the essence of each piece they approach, but at the same time they add a sense of multi-coloured variety to everything they touch. You Raise Me Up is another classic the group have captured and expressed in a magnificent way. The live clip of their performance of this song is mesmerising – that same sense of rising intensity and evolution manages to captivate right the way through. 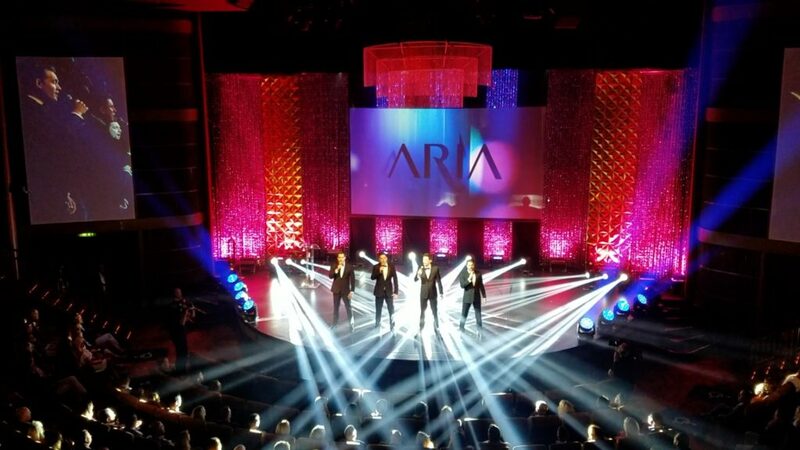 If ever a group of singers is to send shivers down the spines of an entire audience, ARIA are more than likely to be the ones to do it. Another beauty the band have released is the wonderful and inspiring Somewhere Over The Rainbow, a personal favourite – ARIA’s version lights up the room with ease. Their harmonies are just mesmerising and the whole experience calms and lightly uplifts in a fantastic way. To listen at volume is to really feel the strength and warmth of their voices united within this almighty and easily recognisable song. Included on the album Home are some other classics such as Your Song, Fields of Gold, and Hallelujah. 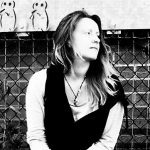 Your Song builds up gorgeously from delicacy to power – a distinctive calling card of the band’s, along with the unique and characterful sound of each of their voices. Whoever carries each verse brings something fresh to it, and then later when the band unite – the effect magnifies and the music just explodes into life. Hallelujah is another that’s absolutely unmissable. So many of these songs are a sheer joy to have fill them room, particularly as the winter nights close in and Christmas peaks its head around the corner. The band offer threads of familiarity alongside of originality and freshness, meaning you’re likely to feel right at home among these classics, but also inspired and energized in a totally new way. Make sure to enjoy these recordings in full this Christmas and New Year. Download Happy Xmas (War Is Over) [feat. Alice Ping] via iTunes. Download the album Home via iTunes. Download O Holy Night via iTunes. Find & follow ARIA on Facebook & Instagram or visit their Website.